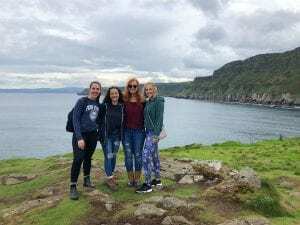 Abigail studied in Ireland on the Dublin: University College Dublin program during the fall 2018 semester. all that worried about this aspect of studying abroad, but I was wrong. It stretched me in so many ways. Being alone in another country, even one that speaks your language, forces you to learn a new culture and to experience life in a different way. While it was hard at times, I am so glad I did it. person, but it was still difficult. I was able to make friends though, and now I’ll have these friends for life. I still talk to them a few times a week, and we have plans to visit each other over the summer too! 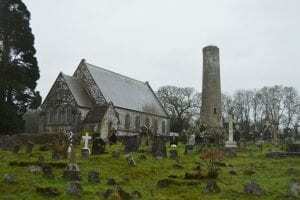 I have Irish heritage, so one thing I wanted to do was learn more about the country of my ancestors. I was able to visit a few different Irish emigration museums and even go back to the County my family came from, which was a very neat experience. Walking the cemetery where my great-great-great-great-great grandfather was buried in the late 1700s was an experience I don’t think I’ll ever forget. Travel when you can, but don’t let travel be the main focus of your trip. Do your best to immerse yourself in the country you’re in. You can vacation in Europe when you’re older, but it’s not likely you’ll have another chance to really live in the country you’re studying in. 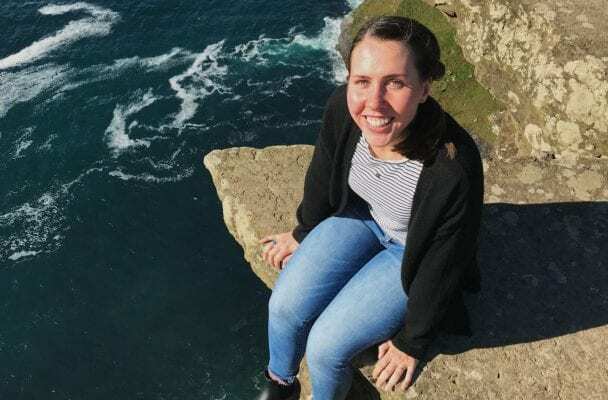 I had friends who flew to a new country every weekend, and while they got to check a lot of countries off of their list, they missed some really great experiences in the city we were in.